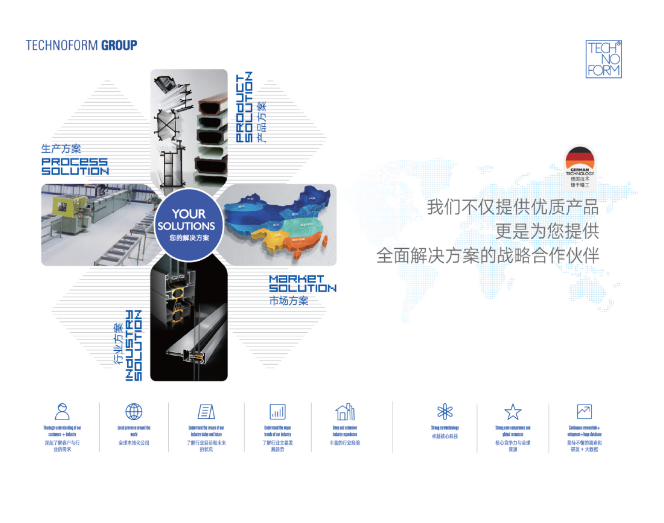 COMPANY NAME : GUANGDONG KINLONG HARDWARE PRODUCTS CO., LTD.
Company Profile : KIN LONG Company has been an innovative and professional company engaged in research, development, manufacture, and marketing of fittings for architectural hardware. KIN LONG supplies fittings of high quality and provides consulting services to the architectural industry. Through many years’ development, KIN LONG achieves a good reputation in construction industry. With a successful IPO on the SME board of Shen Zhen Stock Exchange, KIN LONG has become the largest listed company in the construction-hardware industry. KIN LONG Company is short of KIN LONG HARDWARE and its stick code is 002791.KIN LONG has a factory of 200,000sq.m. with a construction area of 200,000sq.m. The total number of employees exceeds 8000, including over 800 technical and managerial personnel. With a developing sales network both home and abroad, its products are distributed through China and exported to more than 100 countries and areas. Unique value can only be created by professionalism, speculation has no future. This motto is practices by KIN LONG personnel at all levels, ranging from senior executives to the new entry employees. In the continuous quest for constant technology development, higher quality and better services, today KIN LONG has become the prominent and largest supplier of fittings for architectural hardware industry. Striving to become the leader to serve the architectural hardware industry in the world, KIN LONG not only adopts advanced management and manufacturing method, but also invests heavily in design and innovation. Till now, KIN LONG has more than 10,000 items of products and owns more than 500 patents. Rich product and prominent capability of innovation is the driving force for its progress. The company has achieved acclaim in innovative design, elegant appearance, high quality products and unsurpassed services, greatlymeet the individual needs of different customers, widely praised by customers.KIN LONG takes pride in supplying fittings to many famous landmarks in countless cities all over the world. KIN LONG is always your best and most reliable partner in supplying fittings for architectural hardware.